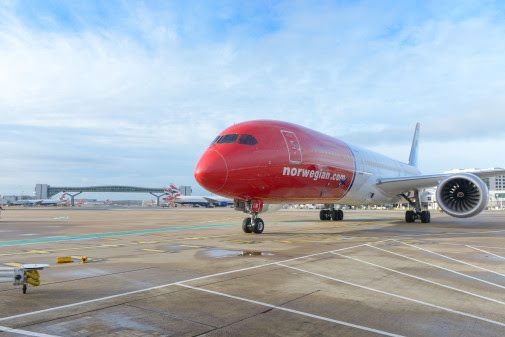 Jacob Meir Abdellak, a forty-seven year-old Librarian was running late for his Norwegian Air Shuttle flight from London Gatwick on Friday 11th May this year. He knew he wouldn't make the airport on time, so he made a call, threaterning that there was a bomb onboard the Los Angeles bound jet. The call was made at 0547, less than ten minutes before the flight was due to depart, subsequently, police and security officials had to evacuate the aircraft and rescreen all the passengers, luggage and the aircraft itself. Such a vast security operation would take some time and the flight was delayed by ninety minutes. Mr Abdellak then attempted to use the 90-minute delay to check-in and take the US-bound flight, however airline staff said this wasn't possible and it was then that Abdellak became abusive. He was, however, rebooked for a flight later in May. Abdellak returned to Gatwick on Tuesday 22nd May 22 to take another flight to US and was apprehended as he attempted to board the jet. The French national was charged with 'communicating false information regarding a noxious substance likely to create a serious risk to human health'. At first, he denied making the call and claimed his sim card had been stolen several days before the hoax call had been made. Phone records however disputed that fact and on the day of the trial, he admitted the offence. Chief Inspector Marc Clothier of Gatwick Police said: "This was a quite ridiculous decision made by Abdellak, who fabricated an extremely serious allegation purely for his own benefit. He was running late for his flight and thought it would be a good idea to call in a hoax bomb, however this turned out to be the worst decision he could have made." "His actions caused the flight to be delayed, and also caused a level of fear and distress among a number of staff and passengers on board that flight. The consequences of making allegations about bombs, guns or similar at densely populated locations such as airports are well documented, and Abdellak’s sentence serves as a warning to others that this sort of behaviour will not be tolerated and offenders will be dealt with robustly." Abdellak was sentenced to 10 months jail time and ordered to pay a £140 victim surcharge.